Excited to announce I will have a solo show at Hoyt Institute of Fine Art in New Castle, PA for my body of work Thou Art…, Will Give…. I will also be offering an artist talk and a workshop in conjunction with this exhibition. More details on those will announced later. Excited to show Thou Art…, Will Give… as a solo show in my current hometown of Rochester, NY. Appreciative to have a piece in this group show. 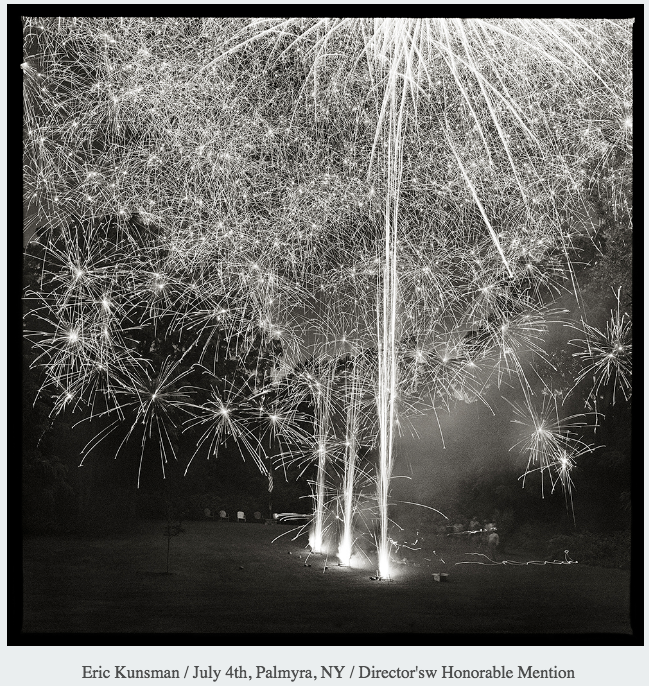 Red Filter Gallery, which has become an online gallery, since closing the physical gallery, specializing in Black and White photography will be featuring Thou Art…, Will Give… as a solo show for the month of February. My body of work Thou Art..., Will Give... will be on display at CameraWork Gallery in Scranton, PA. I have one piece in this juried group exhibition. Abandoned America is proud to invite you to enter our second juried photography show, "States of Disrepair", at Mulberry Art Studios in Lancaster, PA in October 2018. Juried by the gallery's owner April M. Koppenhaver, selected work will be part of Lancaster's popular and well attended First Friday gallery event. Both novice and experienced photographers to enter. All mediums are welcome but work must be centered on abandoned spaces. A retrospective exhibition that I have been included in. My family and I will be visiting the opening reception to see many old friends. Throughout the last forty years, many remarkable artists have exhibited in the galleries of the Trenton City Museum at Ellarslie Mansion. You are a part of this legacy – you and your artwork have helped build the wonderful reputation enjoyed by Ellarslie today. While it would be impossible to display work by every artist who has shown at the Museum during the past four decades, we would like to invite you to be part of this milestone exhibition. A retrospective exhibition that I have been included in. I will be visiting the opening reception to see many old friends. I have a piece in this juried group exhibition. Another group show for the Fall. This juried photography exhibition was conceived to recognize and reward excellence in fine art photography from all over the United States, and augments the decades long Emerald Art Center National Juried Spring Exhibition for painters. This year's Juror is Emerald Art Center director, artist, and photographer, Paula Goodbar, who will select up to 90 finalists for the exhibition. Paula will select the prize winners from the accepted photographs, once the exhibition is installed. The exhibition will be on display to the hundreds of gallery visitors to The Emerald Art Center, from August 28 through September 28, 2018. I have a piece in the Camera USA 2018 exhibition in Naples, Florida. The exhibition opens on June 4th and runs through August 3rd. Apparently, the piece was sold at the preview opening over the weekend. I have one piece in “The Built Environment” exhibition @orr_street_studios from June 1-July 15th in Columbia, MO. Visit http://orrstreetstudios.com for more information. I have three pieces in the "Street Photography" exhibition at Blank Wall Gallery in Greece. I have a piece in the exhibition "State of America" which is being held at PhotoPlace Gallery. Eastern State Penitentiary (1829-1971) in Philadelphia, Pa.—once the most famous and expensive prison in the world—stands today in ruin, a haunting world of crumbling cellblocks and empty guard towers. During his 362 visits to the site, Eric T. Kunsman photographed America’s first penitentiary in a revealing essay featuring100 large format photographs on display in an exhibition spanning 11 years of work. “Thou Art . . . Will Give . . .” will be showcased from Nov. 21 through Jan. 21, in Dyer Arts Center at Rochester Institute of Technology’s National Technical Institute for the Deaf. An opening talk with Kunsman will be held at 3 p.m. Friday, Nov. 21, followed by a reception from 4-8 p.m. A second discussion will be held at 4 p.m. Wednesday, Dec. 10. All events are free and open to the public. According to Kunsman, the prison architecture designed by John Haviland was based on the state’s Quaker penal code instituted by William Penn, where each man or woman had to have a separate cell because isolation would give them time to ponder their mistakes and make peace with God. Famous inmates included two notorious criminals—bank robber Willy Sutton and gangster Al Capone. “The whole idea of the word penitentiary comes from the word penance,” explained Kunsman. “I became intrigued with Eastern State Penitentiary after reviewing Warden’s logbooks from the 1820s and 1830s at the American Philosophical Society in Philadelphia’s Independence Hall. Reproductions of these pages will be on display during the exhibition as they are the basis for the body of work. 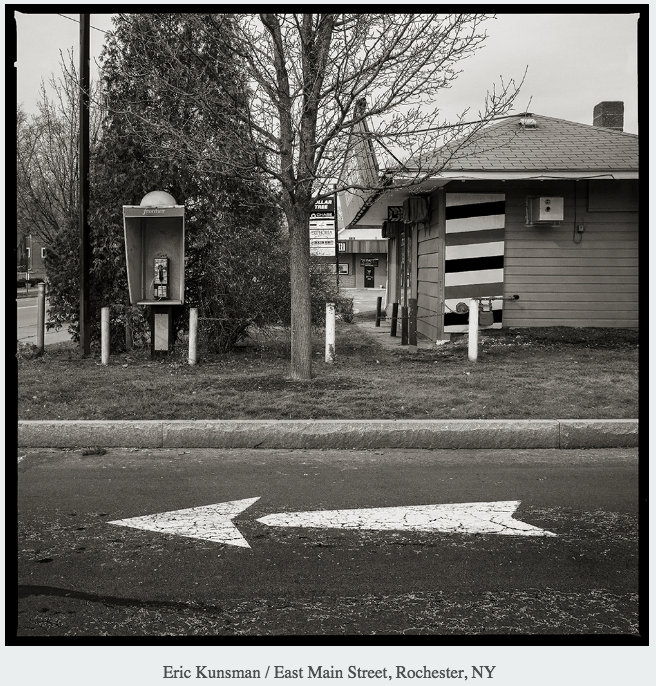 A native of Bethlehem, Pa., Kunsman is a photographer, book artist, lecturer in NTID’s Visual Communications Studies Department and adjunct professor in RIT’s School of Photographic Arts and Sciences, and owner of Booksmart Studio in Rochester, N.Y. The Dyer Arts Center, located at 52 Lomb Memorial Drive, is open from 10 a.m. to 3 p.m. Monday through Friday and by request. For more information, go to dyerartscenter@rit.edu or call 585-475-6406.